Our team on-site at Mersey Loop in Liverpool City Centre have now completed phases 1,2,3 and 4 of the 7 phase project. Over the past week and a half we have seen the completion of the track renewal through Moorfields station. This has been delivered on time, to a high quality and more importantly, safely. 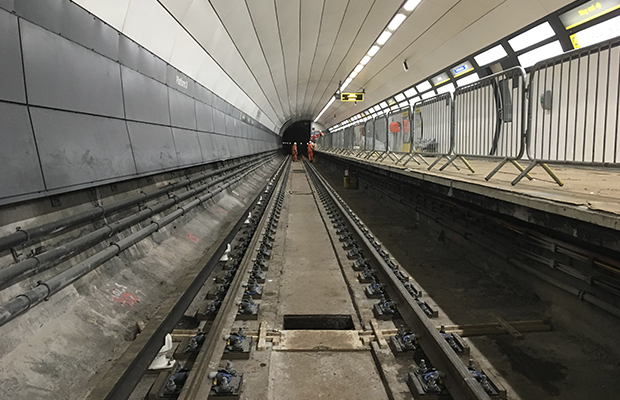 The latest phase followed a critical milestone which was achieved on Monday 20th February where the project handed back the first 3 phases to Mersey Rail and is now open to live traffic. It was highlighted in the latter stages of planning that Mersey Rail were keen to run into Platform 1 at James Street to ensure they had ‘access for all’ facilities available to their passengers. A big thank you to all the management and operatives on-site for their hard work and commitment to get the phase across the line for completion by 20th February.